Shalam to all who seek truth and understanding. This message goes out to all the 12 Tribes first and then the gentiles who are apart of Religious. 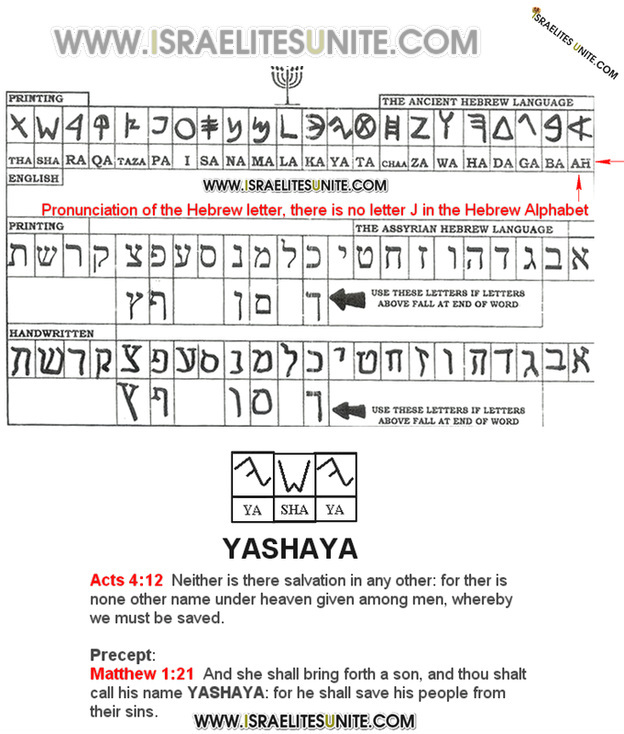 Many of us don't know the father true name and the the Messiah true name. 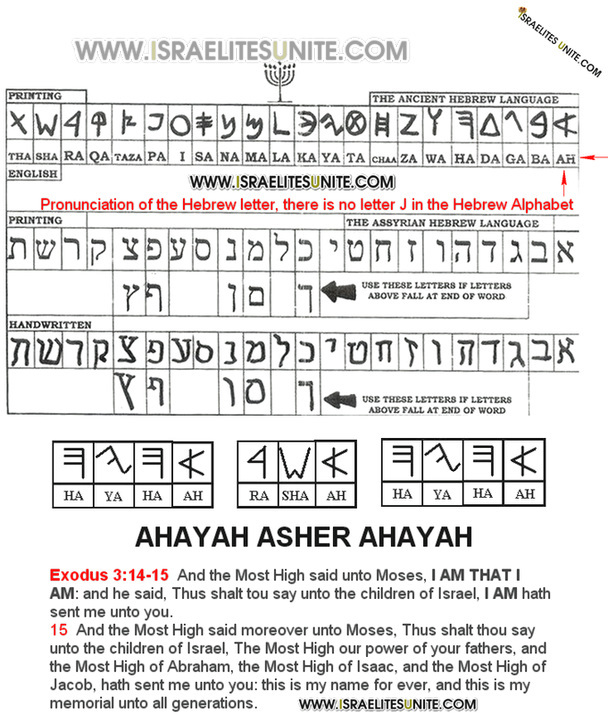 We have to understand that we ave been given Greek gods names like Yhwh, Yahweh, Jesus, God, Jehovah and ect in-replace of the true names AHAYAH ASHAR AHAYAH and YASHAYA. Psalm by Rawach-Yapah called "I've been deceived". The book of Jubilees was one of the many books that were revealed to Moses during his 40 days and 40 nights on Mount Sinai (2 Edras 14:1-6). Moses was commanded to declare some things to all; and some things were to be hidden. The "secrets of times" in 2 Edras 14 is a direct reference to the book of Jubilees. 2 Esdras 14:1-6 And it came to pass upon the third day, I sat under an oak, and, behold, there came a voice out of a bush over against me, and said, Esdras, Esdras. ﻿2﻿ And I said, Here am I, Lord And I stood up upon my feet. ﻿6 ﻿ These words shalt thou declare, and these shalt thou hide. Jubilees 12:24-27 And I shall be a God to thee and thy son, and to thy son's son, and to all thy seed: fear not, from henceforth and unto all generations of the earth I am thy God." 25 And the Lord God said: "Open his mouth and his ears, that he may hear and speak with his mouth, with the language which hath been revealed"; for it had ceased from the mouths of all the children of men from the day of the overthrow (of Babel). 26 And I opened his mouth, and his ears and his lips, and I began to speak with him in Hebrew in the tongue of the creation. Even though the tongues were split, the same beliefs, worships, and mindset to one day fight against the Most High made its way to each region in which these nations migrated. The tongues were originally split into 70 different languages. 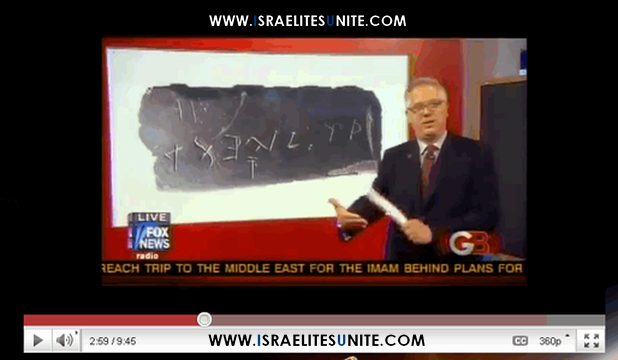 This is document in both the Book of Jasher and the Testament of Naphtali, which can be read from the Pseudepigrapha. Exodus 3:13-15 And Moses said unto God, Behold, when I come unto the children of Israel, and shall say unto them, The God of your fathers hath sent me unto you; and they shall say to me, What is his name? what shall I say unto them? 2 Chronicles 6:3-4 And the king turned his face, and blessed the whole congregation of Israel: and all the congregation of Israel stood. Hosea 12:5 Even the Most High our Power of hosts; the Most High is his memorial. Exodus 20:7 Thou shalt not take the name of the Most High our power in vain; for the Most High will not hold him guiltless that taketh his name in vain. Psalm 68:4 Sing to God, sing praises to His name; Extol Him who rides on the clouds, By His name AHAYAH, And rejoice before Him. ﻿Matthew 1:21﻿ And she shall bring forth a son, and thou shalt call his name YASHAYA: for he shall save his people from their sins. ﻿Genesis 49:10﻿ The sceptre shall not depart from Judah, nor a lawgiver from between his feet, until Shiloh come; and unto him shall the gathering of the people be.